Vatican City, Jan 25, 2017 / 03:04 am (CNA/EWTN News).- The theological commission of the Congregation for the Causes of Saints approved last week a miracle attributed to the intercession of Mother Catalina de María Rodríguez, foundress of the Slaves of the Heart of Jesus. 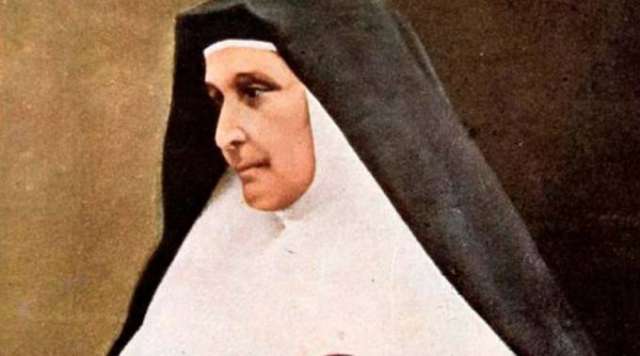 Following the Jan. 19 approval, the next step for her beatification is approval of the miracle by a commission of cardinals in the congregation. 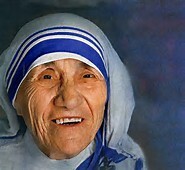 Her name was Satna Rodriguez de Zavalia, and took the name Catalina de Maria in religious life. She dedicated herself to promoting the spiritual exercises and in 1852 she married Manuel Antonio de Zavalía, a widower with two children. She was strongly encouraged to do so by a secular priest, Fr. Tiburcio López, whom she had taken as her spiritual director when the Jesuits were expelled from Cordoba. 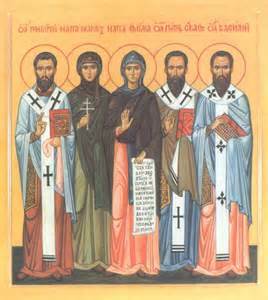 Zavalia had threatened suicide if Saturnina refused him, and Fr. López declared her responsible for the salvation of his soul, and she took the marriage to be God's will. "God is sitting in Heaven when a scientist says to Him,"Lord we don't need you anymore. Science has finally figured out a way to make life out of nothing. Just like what you did it in the beginning." "Oh, is that so? Tell me..." God replies. 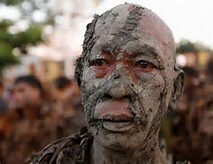 "Well," says the scientist, "we take dirt and form it into a form of a man and breathe life into it, thus make life." "Show me" So the scientist bends down and picks up dirt and molds the soil. "Oh, no no no!" interrupts God. "Make your own dirt." Not really. Rather, Ryan Zinke's socks. 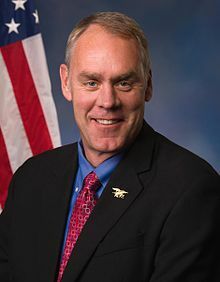 Representative Zinke is Donald Trump's nominee for Secretary of the Interior. His biography lists him as a Lutheran. 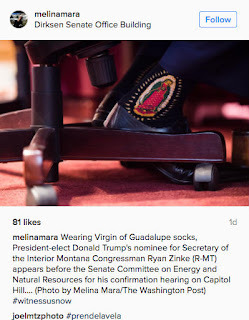 So why was he wearing these socks to his confirmation hearings? The legend of Sebastian’s death is frightening. Romans, the story goes, tied him naked to a tree and used him as a target for archery practice. Many Renaissance paintings portray this incident. 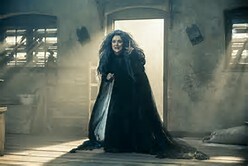 After he was left to die, a widow came to bury him, but she was astonished to discover that somehow breath was still in him. She took him home and tended to his wounds. After his recovery, she pleaded with him to escape the risks of living as a Christian in Rome. Instead, he went to Diocletian and demanded that he stop persecuting Christians. Shocked to discover that the young man had survived the target practice, Diocletian ordered the immediate execution of Sebastian. He was then clubbed to death. It is also the Feast of St. Fabian. Not to be confused with Fabian, the "Turn Me Loose" guy. 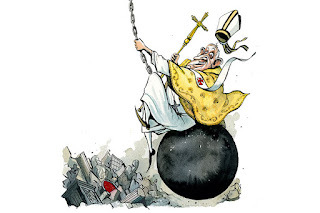 Has the Vatican lost its collective MIND? Who's next? Henry VIII? 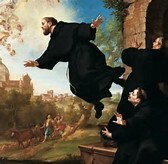 Joseph of Cupertino went on to confirm that he still does petition God on a lazy student’s behalf when he or she prays to him, but that he asks the Lord to flunk the living heck out of them. At press time, Joseph of Cupertino is just happy that the majority of students attending large Catholic universities like Notre Dame, Georgetown, and Boston College have no idea what prayer is, let alone who the heck he is. Vatican City, Jan 15, 2017 / 05:10 am (CNA/EWTN News).- On the World Day of Migrants and Refugees, Pope Francis pointed to St. Frances Cabrini as an example of how to treat foreigners, calling her a “courageous” woman who knew how to bring God’s love to those who were lonely and in hardship. After praying the Angelus with pilgrims in St. Peter’s Square Jan. 15, Pope Francis sent a special greeting to members of different ethnic communities gathered who had gathered in honor of the World Day of Migrants and Refugees. 3) unlike the wave of immigrants in Europe, were looking for work. Mother Cabrini's biggest contribution was educating and cathecizing the Italian immigrants to the United States, many of whom were here when she arrived. Read the whole thing (from The Spectator). I am reserving comment. I like the drawing, though..
For more than two years, leading Catholics have been at each other’s throats over a plan — surreptitiously supported by the Pope — to allow divorced-and-remarried Mass-goers to receive Holy Communion. The secular media have treated this, understandably, as an inside-the-beltway story. It’s difficult to make headlines out of a controversy that even theologians find hard to grasp. Remember that when some one says we worship the same God. Paterson, N.J., Jan 11, 2017 / 03:04 am (CNA/EWTN News).- A Catholic hospital faces an anti-discrimination lawsuit for cancelling a surgery to remove a uterus from a female who identifies as a man. The surgery was meant to treat gender dysphoria. Gender dysphoria used to be called “gender identity disorder.” But the mismatch between body and internal sense of gender is not a mental illness. Instead, what need to be addressed are the stress, anxiety, and depression that go along with it. 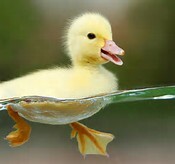 I suffer stress and anxiety from not being a duck. 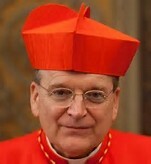 Just moments after being honored at the Golden Globes for her lifetime of work, actress Meryl Streep took the opportunity to make a sustained attack on Cardinal Burke’s dubia. 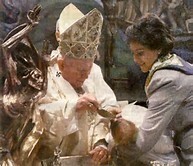 In her four-minute address while accepting the award, the actress denounced Burke’s traditionalist rhetoric and criticized him for trying to bully the Pope. Streep also went on to use her speech to highlight the importance of Catholic culture, pointing out how important it is, especially when it does not “in any way” intrude on the personal lives and choices of others. 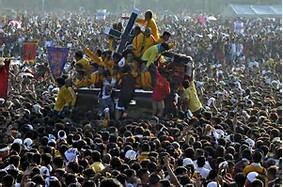 Manila, Philippines, Jan 5, 2017 / 04:27 pm (CNA).- For over four centuries, a historical and iconic miraculous statue of Jesus Christ carrying his Cross has become an emblem of passion, struggle and faith for Filipino Catholics. 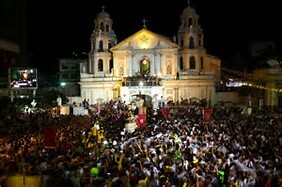 Up to 18 million participants are expected to take part in this year's procession and the festivities that surround it. Actually, it looks kinda frightening. 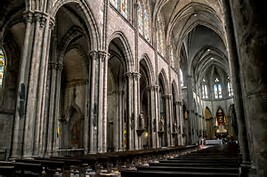 The Norwegian Thorfinn died at a Cistercian monastery in Belgium. 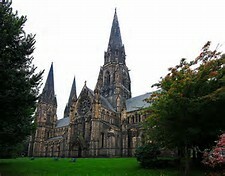 During his life he did not attract much attention, and after he was buried, most people all but forgot him. About fifty years later construction workers accidentally broke open his tomb. Instead of a disagreeable odor, there was a strong, pleasing scent. The abbot asked his monks about the man interred on the site and found one of them, the aged Walter de Muda, who remembered Thorfinn. 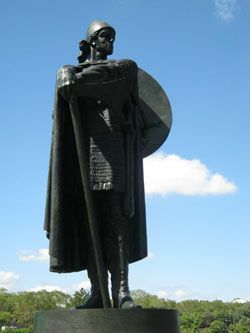 Walter recalled that Thorfinn had impressed the community with his gentle, yet strong personality. De Muda had actually written a little poem praising Thorfinn that was entombed with him. Searchers found this poem on parchment, undeteriorated after five decades. The abbot took this as a sign that it was important to perpetuate the memory of Thorfinn, and asked Walter to write everything he could remember about him. All that we know about this saint today may be read in Walter’s sketchy recollections and the tribute he paid him with his poem. He remembered Thorfinn as a kind, patient, generous man, whose gentle nature was combined with a strong moral character. 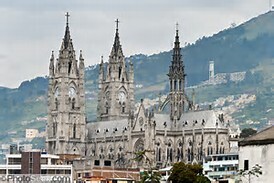 QUITO, Ecuador (AP) — Thousands of singing and dancing devils took taken over a mountain town in Ecuador for six days of revelry in the streets. 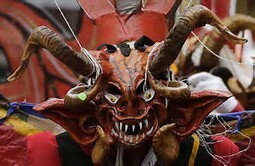 The procession of dancers in elaborate devil masks is the centerpiece of an annual festival in the town of Pillaro in the Ecuadorean Andes. 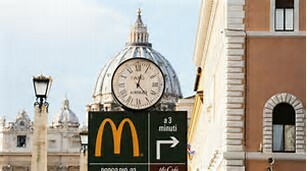 Rome, Italy, Jan 4, 2017 / 11:08 am (CNA/EWTN News).- Last week's opening of a McDonald's in a Vatican-owned property just around the corner from St. Peter's Square has been both welcomed and decried by Rome's locals. Dubbed by som as "McVatican,” the new restaurant is located in a Vatican property in Rome, at the intersection of the Borgo Pio and Via del Mascheriny, just a few minutes' walk from St. Peter’s Basilica. I an a Bas Rutten Fan. I've Been a Fan Since ...20 Minutes Ago. For MMA fans, Bas Rutten needs no introduction. But for those who may not be familiar with the sport, suffice it to say that he is one of the most legendary fighters in the game, known for his devastating strikes, aggressive and versatile style, and long string of victories—not to mention his showmanship and charisma. Recently inducted into the UFC hall of fame, Bas is recognized around the world as one of the founding fathers of Mixed Martial Arts. 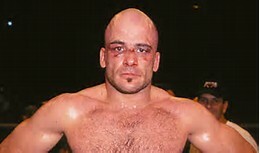 What many may not realize, however, is that Bas Rutten is a devout, daily rosary praying, Mass-attending Catholic who brings all the intensity of a fighter to his spiritual life. He prays in Latin just because it makes the demons squirm, quotes St. Thomas Aquinas, studies the faith constantly, and can’t wait to tell anyone who will listen about the riches the Catholic faith has to offer. You say frequently, “Deo gratias!” This is Latin for “Thanks be to God.” Just curious: Do you happen to go to a Mass that is in Latin? Back on the 14th of December, I posted a history lesson on the Blaine Amendment. It has reared it's ugly head again in Georgia! 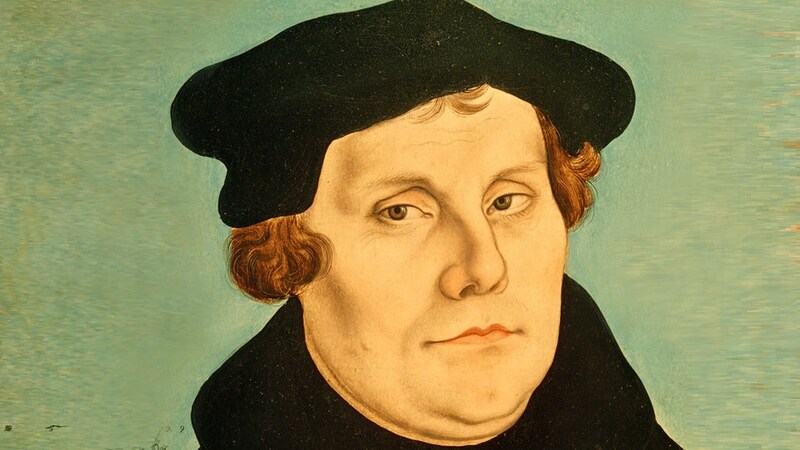 Atlanta, Ga., Jan 3, 2017 / 07:44 pm (CNA/EWTN News).- An amendment from the 1870s that was once used to target Catholics is now being invoked in Georgia once again to challenge a scholarship program allowing children to attend religious schools. And the use of the amendment is deeply unacceptable, religious freedom advocates say. “Georgia’s program is helping low-income children. It would be a terrible mistake to use a bigoted law from the nineteenth century to hurt schoolchildren today,” said Lori Windham, senior counsel at the Becket Fund for Religious Liberty, which filed an amicus brief supporting the state’s program in December. “This law is a ghost from Georgia’s past. It shouldn’t be dredged up to haunt education in Georgia today,” Windham continued. Who Knew "60 Minutes" Was Still a Thing? I don't get the play on "savior". And there are two GLARING mistakes in the story. First of all, it's not a "bounty", it's a reward for information. 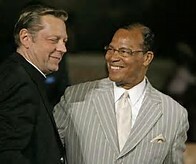 The second thing mistaken is to refer to Michael Pfleger as a "priest". Although technically, I guess that's correct. 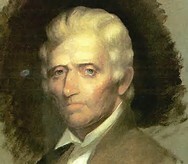 Think about that the next time someone brags he is distantly related to Daniel Boone. I resolve that when I pick up something at the grocery store aisle that fell on the floor, I don't congratulate myself for doing a Good Thing on par with Mother Teresa washing the feet of lepers.